The North American HD DVD Promotion Group has claimed that its conglomerate manufacturers have managed to sell over 100,000 stand-alone HD DVD players since the technology debuted last year. Unlike the Blu-ray Disc Association - which includes PS3 sales in its own sales figures - these HD DVD numbers do not include sales of PC drives or the Xbox 360's external player either. If these numbers are correct, it means that the HD DVD camp has shifted more stand-alone players than its Blu-ray rival coalition. Adding the PlayStation 3 into the equation though does mix things up, putting Blu-ray firmly out in front. As well as these encouraging results for the Toshiba-led HD DVD team in the US, the camp is also confident of winning the war in Europe. 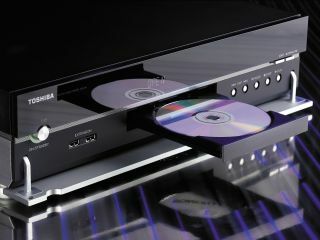 Olivier Van Wynendaele, deputy general manager of HD DVD at Toshiba , predicted that HD DVD may come to dominate in Europe. One of the chief reasons he gave for HD DVD beating - or at least co-existing with Blu-ray - was down to major support for the format from Chinese manufacturers. But despite both sides crowing about their successes, research released by Sony revealed that neither HD DVD nor Blu-ray is anywhere near winning the high definition format war outright. Despite Blu-ray discs outselling their HD DVD counterparts, very poor US sales of high definition movies overall show that the numbers involved are so small they are insignificant. In the week ending March 18, Blu-ray Disc (BD) movies outperformed HD DVD discs by a thumping ratio of 9:2. However, when you consider that a disc can get into the top 10 chart in the US even if it sells well under 1,000 copies, the statistics are rendered meaningless. In that week, the best selling high definition disc was Casino Royale on Blu-ray, which shifted an encouraging 28,233 copies. However, the BD version of The Departed which came in at number two sold barely over 3,000 copies and, down at number 10, the BD version of Babel sold only 880 copies. These tiny numbers mean absolutely nothing to the format war; neither side is selling anywhere near enough discs to start bragging.